Obviously not pleased with so many recent posts on women and relationships, an old-time reader wrote to me if I have stopped posting on music and movies entirely. A valid question actually. So this post is a quick fix to assuage any such doubts! 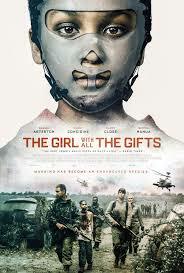 The Girl with All the Gifts (Colm McCarthy, 2016) - Never since Danny Boyle's 28 Days Later (2002) has any post-apocalyptic zombie horror movie got me hooked like this one. I was so enamored by it, I went ahead and bought myself the novel of the same name by British writer M.R. Carey, which in turn is based on his 2013 Edgar Award-nominated sci-fi short story Iphigenia In Aulis. I won't spoil it more for you other than the fact that the British make good zombie movies that combine style and substance, unlike their Hollywood counterparts. Gemma Atherton and Paddy Considine act solid but its Glenn Close and the little heroine - Sennia Nanua as Melanie who steals the show. A beautiful score by Cristo, the Chilean-born Canadian composer famous adds to the flavor. 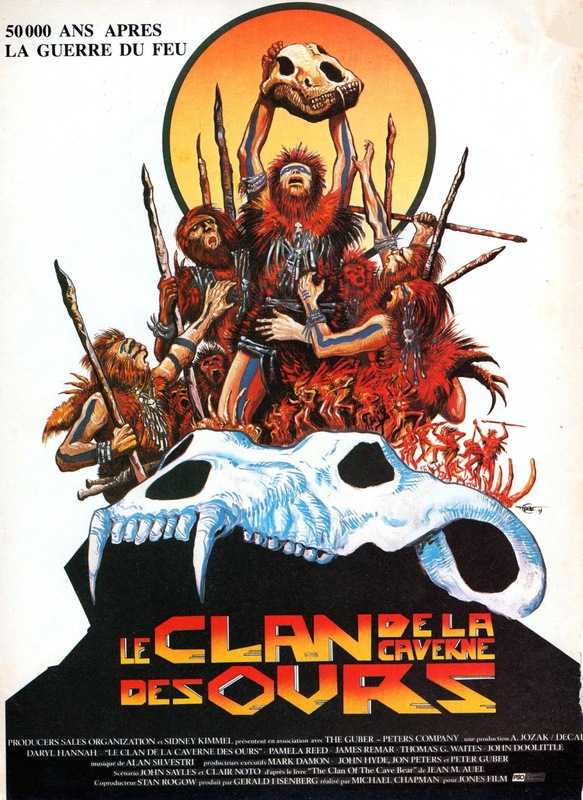 Clan Of The Cave Bear (Michael Chapman, 1986) - Not since Raquel Welch stepped on her mammoth-fur bikini in One Million Years BC (1966) has there been a piece of pre-historic nookie more enticing than blonde goddess Daryl Hannah in this epic adventure about a young Cro-Magnon woman raised by Neanderthals. Luckily, she doesn't have to handle any dialogue here, just grunt and groan (with subtitles) and look smashing in this irresistibly silly cavewoman flick with many subtle overtones to feminism. The script, believe it or not, is by the great John Sayles and music by Alan Silvestri. If you can withstand people dressed in neanderthal costumes and Oscar-nominated makeup talking in sign language, this box office bomb based on the best selling book by Jean M. Auel is actually a good time pass. The Boy Who Could Fly (Nick Castle, 1986) - Charming, if a tad overlong fantasy drama about a teenage girl (Lucy Deakins), whose father has recently died, and her attempts to help an autistic boy (Jay Underwood) who seems to think he can fly. Deakins and Underwood's empathetic performances keep the story grounded in reality, even when it becomes fanciful towards the end. Director/writer Castle isn't quite Spielberg, but he does a good job at capturing a similar sense of wonder. Watch out for Wonder Years' Fred Savage, Jason Priestley, and John Carpenter. Good music by Bruce Broughton. For those who don't know, Nick Castle played Michael Myers in John Carpenter's Halloween (1978) and also co-wrote Escape From New York (1981). 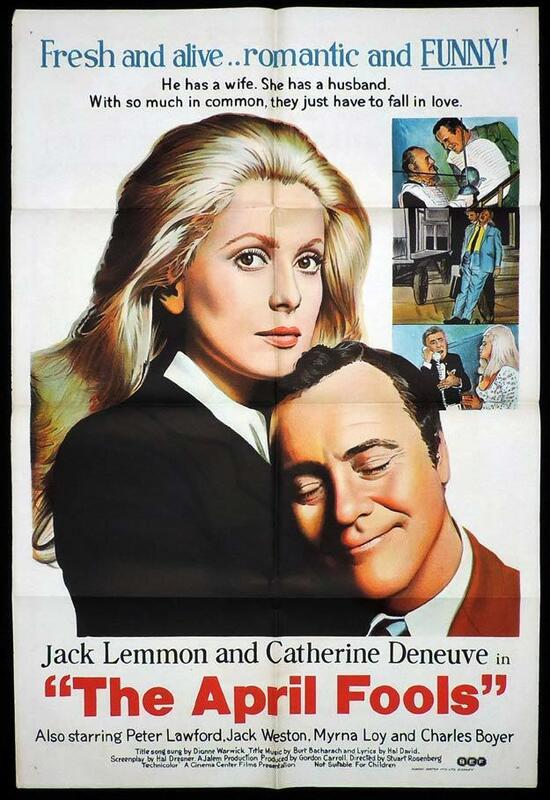 The April Fools (Stuart Rosenberg, 1969) - Jack Lemmon is caught in a comedy of romantic errors in this bright farce about a wall street broker who falls for a stunning woman (Catherine Deneuve) who turns out to be the wife of his boss, brilliantly acted by Peter Lawford. The two try and run off together, amid all kinds of complications. Wildly out of control at times, this romantic comedy directed ably by Cool Hand Luke's Stuart Rosenberg has enough of a lunatic edge to keep you interested and give a lesson or two about being caught up in a loveless marriage. The stellar supporting cast includes Sally Kellerman, Charles Boyer, Jack Weston, and Myrna Loy. Equalizer 2 (Antoine Fuqua, 2018) - In this fourth collaboration between Denzel Washington and Antoine Fuqua and much-awaited sequel to the 2014 hit, things go quickly downhill from a rather very impressive start that promises so much potential to a faltering weak film by the time it ends. 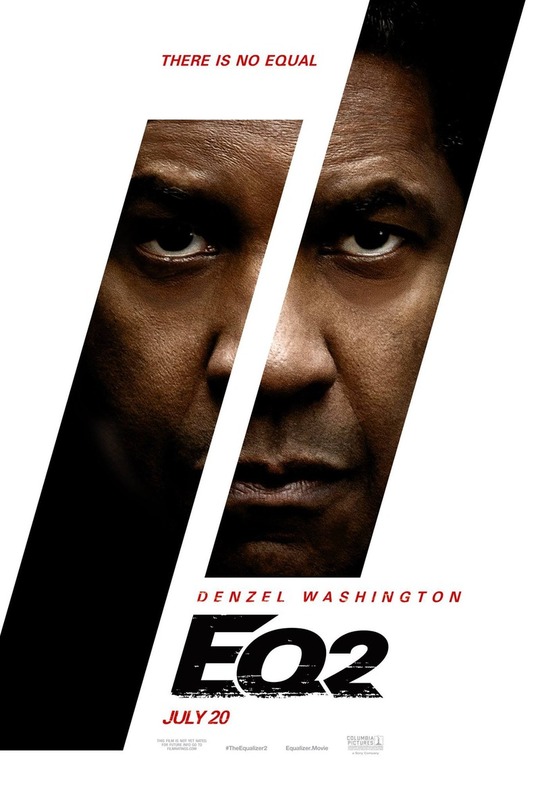 Denzel Washington's acting is top notch as usual but a stupid "in your face" unsuspenseful script, unnecessary characters, and too much sugary sentimentality robs this vigilante thriller of any redeeming factors. A stormy weather setup that's outlined right from the beginning ends up like a joke in the climax with preposterous sequences. I had a nagging feeling if the first half and second half were directed by two different individuals. Its anybody's guess, which one was Antoine Fuqua but who cares anyway, when this movie has already crossed over $184 million since its release. Strictly for Denzel Washington fans. 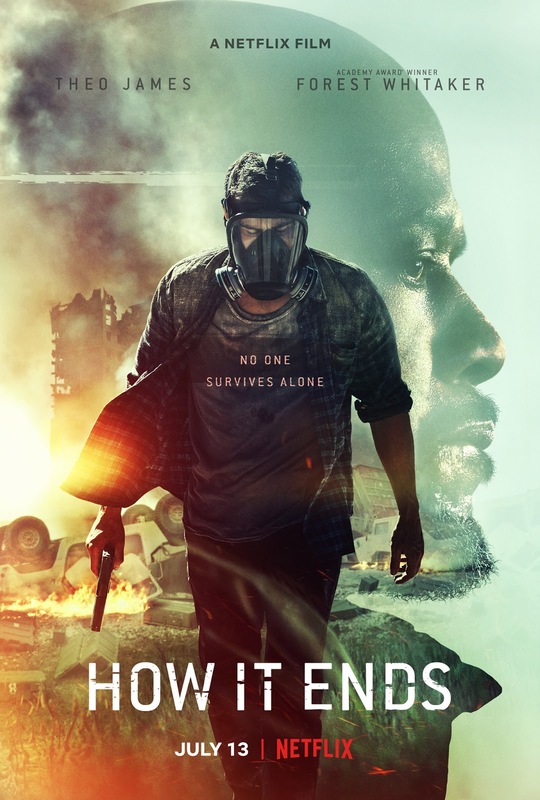 How It Ends (David M. Rosenthal, 2018) - This Netflix dystopian thriller got my attention because it had a nice trailer, it had Forest Whitaker and also because I have a perennial appetite for all "end of the world" movies. I should have trusted the negative reviews though, a terrible film and a sheer waste are what many warned. I won't say its as awful as the reviews make of it, its pedestrian in the pace of course but shot very well, the acting by Theo James, Whitaker and co are also not as bad but where its utterly fails is the pacing and final pay off. The mystery of what really happened or how the world has ended or is ending is never explained. Not explained at all actually. I guess they wanted to make a sequel where the mystery will be deciphered but the way "how it ends" and the kind of negative publicity it has already received, I think that noble idea must have already been shelved. As long as you are willing to see a dystopian road movie with a sense of perpetual dread and don't mind an inconclusive ending, How It Ends is an ok watch but insipidly boring nonetheless.